Coordinating the preventive service of building equipment for 18 locations as well as having 24/7 emergency service technicians on call. 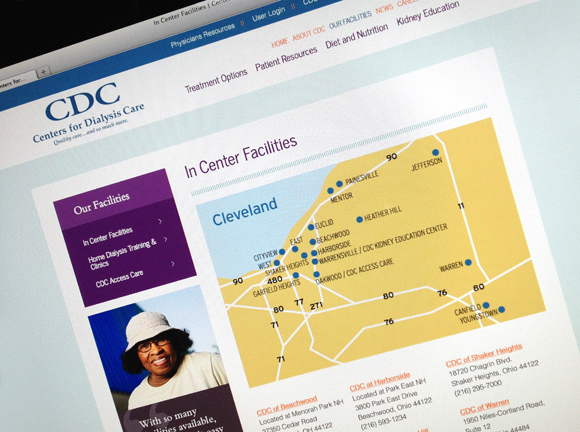 As northeast Ohio's largest dialysis care provider, our Cleveland office is always ready to be on call at a moment's notice. Recently, our technicians had an emergency at one of the locations during the weekend and worked around patients while installing heaters so that care was not impacted by the work. We installed a Lochinvar Storage Tank as well as three (3) hot water heaters including a thermal expansion tank and circulator pump as part of the overall design. We have also been installing rooftop units at other location, upgrading their old equipment. We reclaim and dispose of the existing refrigerant per EPA Guidelines. Cranes are used to rig these units, and we install new thermostats that give administrators the ability to heat or cool their facilities more efficiently. All of our service technicians who service these facilities are briefed on all protocols before working and entering these facilities as to never disrupt patient care.